Kathy Quilts! 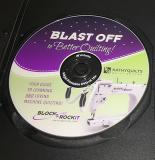 > Learning Center > Learn from Kathy and Lynn because they know how to teach you how to get more from your quilting frame. Learn from Kathy and Lynn because they know how to teach you how to get more from your quilting frame. Free hand quilting fill designs to make my quilt ROCK!